The 3am Teacher: A Top Teacher Giveaway You Won't Want to Miss!! 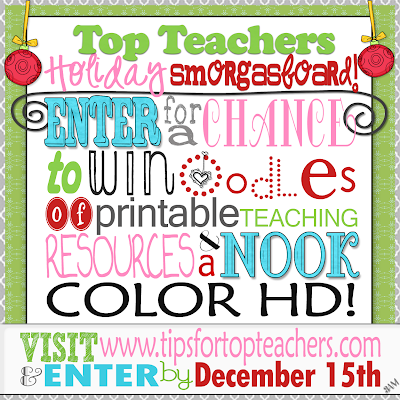 A Top Teacher Giveaway You Won't Want to Miss!! 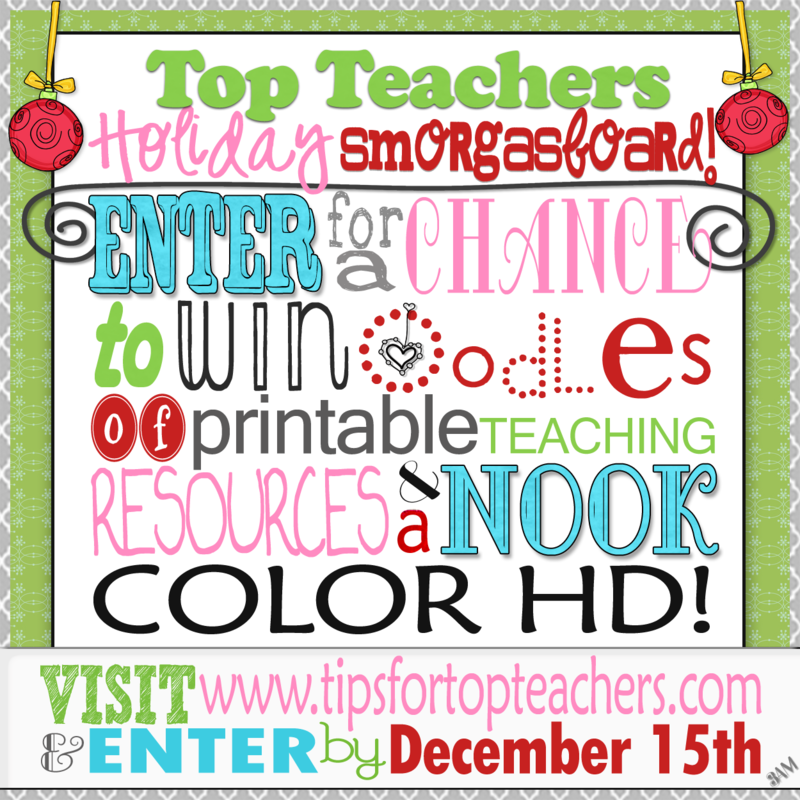 To celebrate the holidays Top Teacher-Style, Tips for Top Teachers is having HUGE GIVEAWAY just in time for the holidays! A bunch of Top Teachers; including myself, have contributed to this BIG GIVEAWAY, so we could offer the BEST giveaway prize ever!! One lucky winner will get a BRAND NEW NOOK COLOR HD!!! This would be perfect for your holiday reading! This is going to be a short post friends - Due to the nature of the giveaway, I don't believe there will be any excitement left for ramblings. Maybe for another post. Thank you for stopping by...Oh, How do you like the new layout of my blog?? I have learned some new CSS coding tricks and had fun adding some cool things the other night. I have an ipad and I use the kindle amazon app!! I love it!! Michelle, this is a wonderful giveaway! I am pinning it now! Your blog looks fantastic! The high-tops are my favorite! Stop on over and link up when you have time! Although I'm not a teacher yet, it is so nice to see that there are some chances for teachers to earn prize. I was so surprised when I heard that some American teachers have to their supplies for students instead of school. Thus, I think this a really good news for teachers.